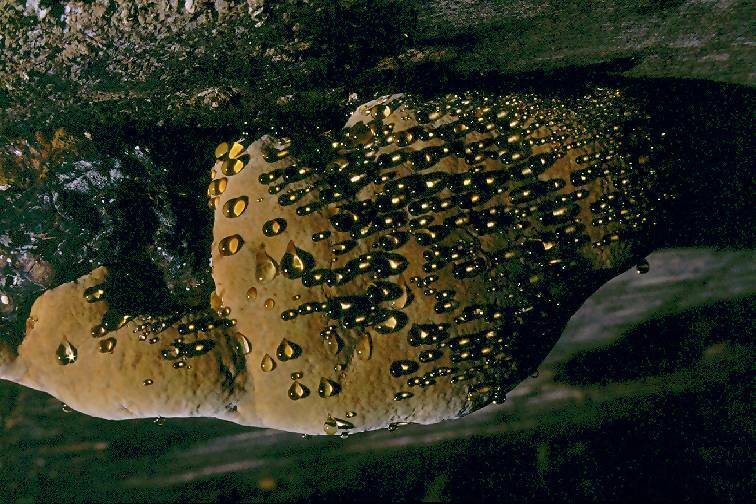 Growing on tree trunks, this fungus displays a rich brown color. 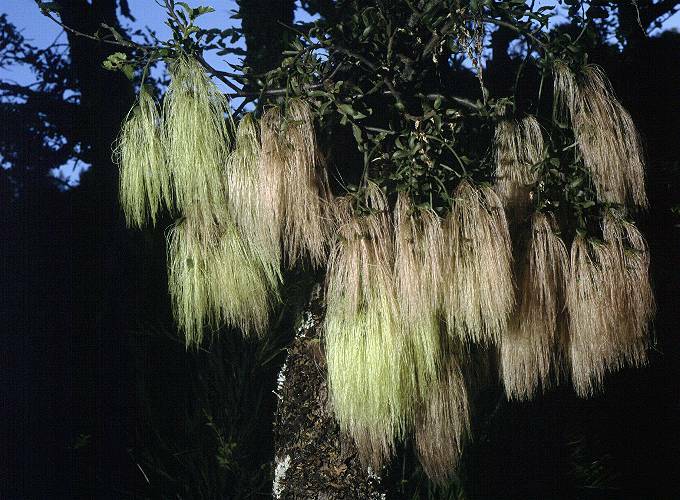 But the tree suffers, bleeding resin which weeps onto the cocoa-brown surface. 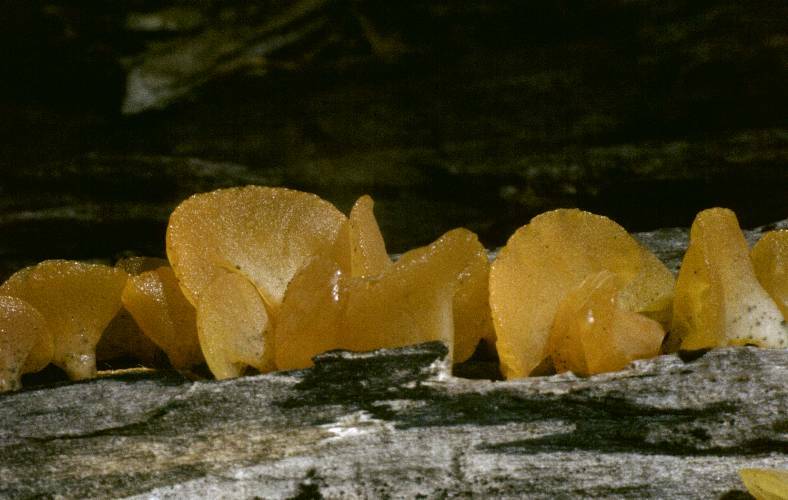 Another fungus that grows on dead wood. This lichen is very small. The red tops measure less than one millimeter. 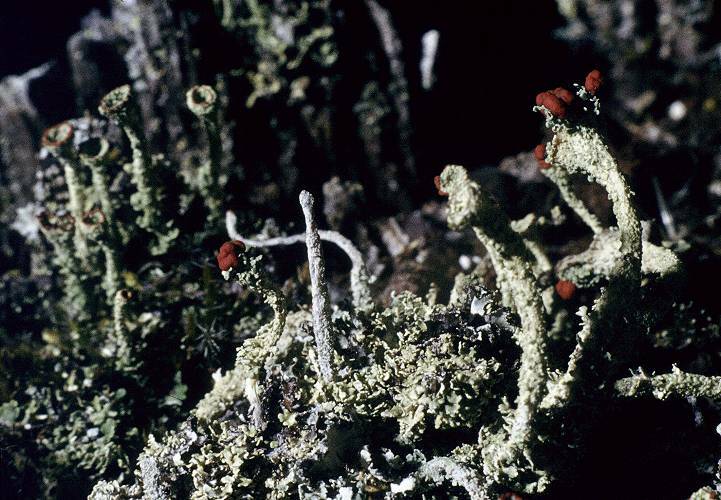 The shrub provides support for the lichen. 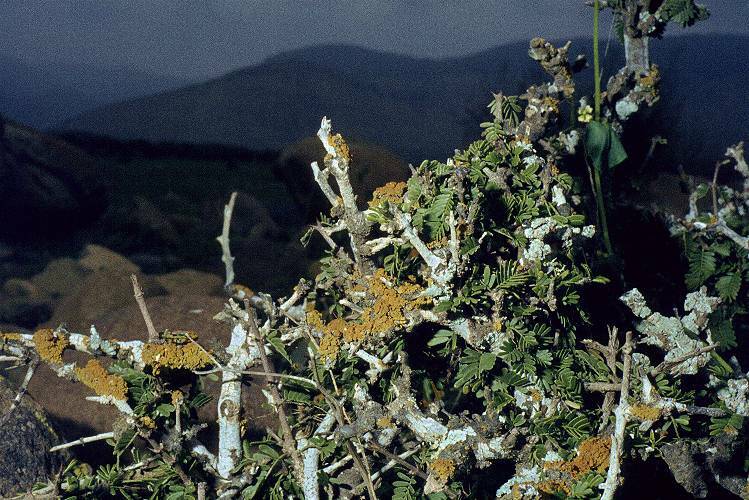 At the same time, the lichen captures water from the coastal mist, causing droplets to fall to the ground, irrigating the shrub. This is the only water source for most of the year in this nearly rainless area. This lichen also uses the tree only as support, without damaging it. A tiny lichen that grows layer by layer, building up large balls of organic matter on otherwise infertile terrain. Only the outermost layer of these balls is alive! 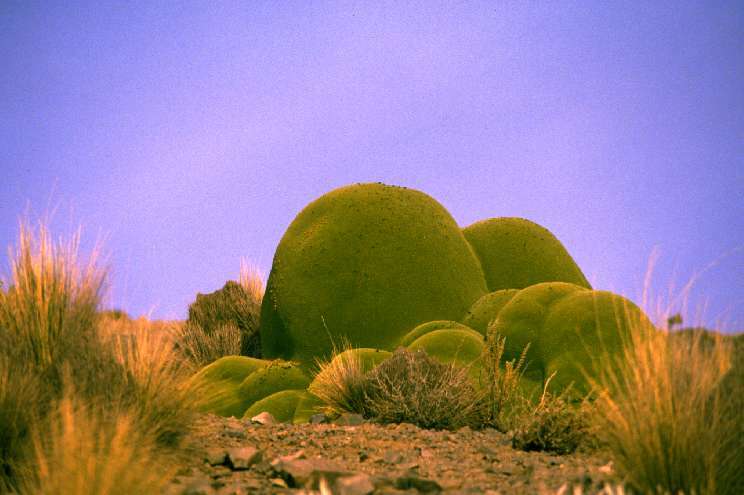 Desert nomads often use Llareta as fuel, pushing it close to extinction in most areas. Such a ball takes a very long time to form!